Omron Corporation offers four new series of condition monitoring devices to monitor operational status in manufacturing sites for workers; Motor Condition Monitoring Devices that predict a failure of 3-phase induction motors, Power Supplies with Network that can predict the service life and failures of a power supply installed in a control panel, Flow Sensors and Pressure Sensors that monitor hydraulic oil and cooling water used for press machines and molding machines, and Smart Condition Monitoring Amplifier that accelerate IoT of existing analog sensors installed in facilities or machines. The release of condition monitoring devices is part of an Omron's effort aiming at completing 100,000 IoT components lineup. The monitoring devices visualize facility and equipment condition constantly that could not have been seen, detect status errors of facilities in advance, and maintain production lines and productivity. The condition monitoring devices monitor changes in power system and circulation system of production facilities in real time. They inform replacement time of parts before failures through communications networks and contribute to prevention of unexpected facility stoppages and quality abnormality of products. Anyone can easily capture a sign of abnormality of facilities and failures that have relied on experience and intuition of skilled workers. This enables to reduce opportunity loss due to unexpected facility stoppages and enhance the accuracy of maintenance plans. Motor Condition Monitoring Devices detect errors caused by aging deterioration of three-phase induction motors used for many production facilities including conveyors, lifters and pumps. The monitoring devices detect errors by status changes in vibration, temperature, current, insulation resistors, monitor by display on the main unit or Ethernet/IP™ communications remotely, and solve the following issues. Minimize opportunity loss caused by unexpected facility stoppages. Digitalize knowledge of skilled maintenance engineers and homogenize motor maintenance from a remote location. Shift from periodical inspection to preventive inspection to significantly reduce inspection work. Motor vibration, surface temperature, insulation resistance, current, degradation level. EtherNet/IP (monitorable by a dedicated tool operated on PC), alarm output, transistor output, bar indicator, monitor display. Power Supplies with Network visualize necessary information to maintain and control power supply in addition to supply DC electricity to devices in facilities, which is a basic function of a power supply. This Power Supplies can visualize when to replace itself, information on output voltage/current, and boost current by remote control using Ethernet/IP communications and the main unit monitor, contributing to solve the following issues. Notify the power supply replacement time in advance to reduce unexpected facility stoppages due to a trouble of power supply. Monitor the replacement time, total run time, voltage, and current of a power supply remotely to reduce maintenance work in sites. Use in combination with the dedicated software Power Supply Monitoring Tool (scheduled to support soon) to visualize power supply condition on the derating curve. To extend the service life, you can consider and implement improving measures easily by improving installation environments and changing power supply capacity. Years until power supply replacement, total run time, output voltage/current, boost current, self-diagnostics (overheating, measured value error, memory error), product model, serial number. A single Flow Sensors can measure both flow rate and temperature of cooling water used for a welding or molding machine. 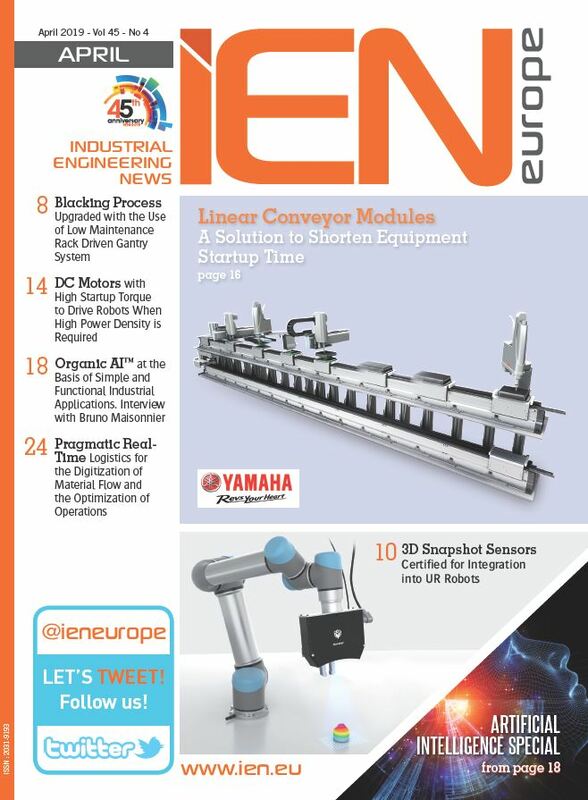 Monitoring errors caused by temperature in addition to flow rate of cooling water enables to capture a sign of unexpected stoppages due to overheated current transformers, enabling to achieve more stable welding quality, and prevent defective molding. 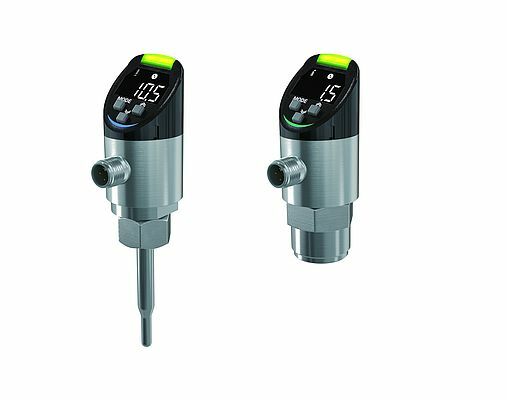 Pressure Sensors visualize pressure and temperature of hydraulic oil for machining centers and press machines simultaneously. They capture a sign of packing deterioration due to temperature rise and following hydraulic oil leakage. They also detect temperature changes due to deterioration of the hydraulic oil viscosity to maintain stable processing quality. You do not need to install a pressure sensor and a temperature sensor on pipes separately, which halves number of sensors to be installed and installation work. By sensing a plurality of measurement data elements such as "flow rate and temperature" and "pressure and temperature" by itself, these sensors can visualize facility condition at less cost, work, and space. Status output, control output, analog output, IO-Link, monitor display, status indicator. Smart Condition Monitoring Amplifier connect to general analog output sensors. Omron offers N-Smart Next-generation Sensor Series that connect to fiber sensors and lase sensors. Now, Smart Condition Monitoring Amplifier that can connect to general analog output sensors are joining the lineup, enabling to build inexpensive and easy network with various sensors used to understand facility condition. Previously, obtaining data of analog output sensors required system up with expensive data loggers and measurement equipment. The sensor can synchronize up to 30 units at high speed of 1 ms, collect data at the timing of facility operation, capture subtle changes of facilities and correlation of signs reliably, enabling optimum machine control according to facility status changes. Sensors which output and transmit measurement result by current (DC 4 to 20 mA) or voltage (1 to 5 VDC). Flow Sensors and Pressure Sensors are also connectable. 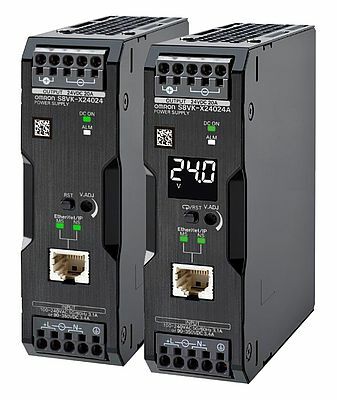 Control output, monitor display, compatible with open networks (EtherCAT®, CC-Link) by connecting to communications units.